Congratulations Alma Perez of Hempstead High School for advancing to Regional from the District 23AAA UIL meet! 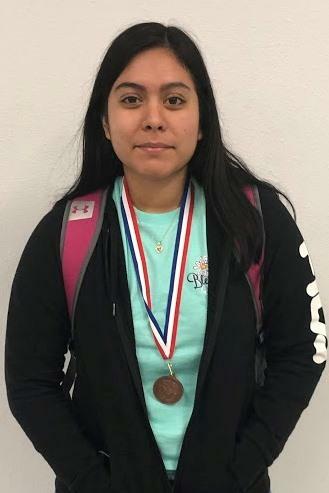 Alma Perez, a senior at Hempstead High School, placed third in Spelling at the District 23AAA UIL Meet held in Onalaska on Saturday, March 30, to advance to regional. Alma will compete in the Regional UIL Meet at Blinn in April. Good Luck Alma!